The stats say that, on average, it takes 7 minutes to fall asleep, but people who have electronic gadgets in the bedroom often find it takes much longer. If you’ve got a tablet or smartphone in the bedroom and you’re checking emails, playing games or watching films before you go to sleep you may find that going to sleep is not as easy as it used to be pre-gadgets. This is because TVs, smartphones, tablets and laptops normally have blue light effects to allow them to be visible. Blue light stimulates the brain cells – and, consequently, discourages your natural sleep response. There are solutions on portable devices. Apple has an app integrated into the iOS (9.03 and later) called Nightshift which reduces the blue light. This can be enabled and then it automatically goes into operation when the sun sets, giving the screen a more yellow appearance. This reduction in blue light allows our bodies to produce melatonin, which helps our human operating system to doze off! Of course, any light affects our melatonin production, but blue light is at the end of the spectrum which has the most effect. An app called F.Lux does a similar job on computers. It may be tempting to take your electronic devices to bed – but not conducive to a restful night’s sleep. 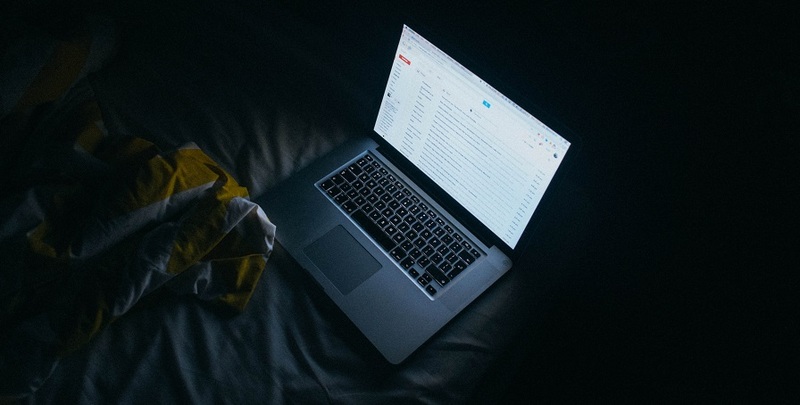 In fact, a survey revealed that a disturbing number of people actually wake up in the night and check their email or social media! Anything that keeps your brain active is going to be counter-productive if you want to nod off, whether it’s checking your email, texting a friend or catching up with family on Facebook. Although watching TV in bed has become almost ‘the norm’, that’s not much better. Mobile phones can be positively addictive and if you look around you in any public place a large percentage of the people will have a phone in hand, head down and thumbs working overtime. It’s likely that these same people are reluctant to be parted from their phone at bedtime. In fact, lots of people now rely on the mobile phone to wake them up in the morning. There are all kinds of waking up apps too from the standard alarm to an app that starts by emitting light that slowly wakes you up, eventually making a noise that will disturb even the deepest sleeper.